You may have fond memories of “analogue” Kiwi school holidays. Days spent unplugged, engaging in life’s simple pleasures – playing outside, ice creams, camping trips, playing at the pool or beach and free time with family and friends. too many devices online at home with outdated internet plans means slow connection times, and a halting, buffering connection. Concerns about the amount of time kids and teens spend on their digital devices and the impact this could have on their child’s development or health. Safety concerns about content kids and teens are exposed to and who kids interact with online. The good news is that there are simple steps that you can take today to protect your family online and avoid screen-time stress. Plus, you can upgrade your connection today so that you don’t spend another school holiday suffering with a poor broadband connection. Check out our top tips for protecting children online. These top broadband providers provide ISP family filter services, along with high speed fibre broadband plans with unlimited data. Stuff Fibre’s SafeZone is included in their broadband plans. SafeZone helps filter out adult content, social media or anything undesirable. There are a range of pre-configured settings that can be customised to suit your family. SafeZone applies to every device connected to your home network. Orcon's Family Filter service is available from $5 per month. It is a non-intrusive first line of defence against R16+ sites; dating, drugs, gambling; alcohol and tobacco sites; known hacked or infected sites; sites about hacking and illegal activity; and suicide or self-harm site. Compass’ family filter service is available from $5 per month. Compass’ CyberGuardian provides parents with a simple to use and adjustable filter over what can be access online. Choose a broadband provider with a family filtering services. Spend some time before the holidays begin to make sure you understand how your service works and that it is set up correctly. Have a family discussion with your children / teens and agree realistic and achievable limits around screen time. Make a plan that establishes firm rules about how much time your child can spend with screens, and where, when, what and with whom they can use screen time. Knowing what your child is doing online can make a big difference – are they spending their time on leisure or learning? Is it age appropriate? Are they active or passive? 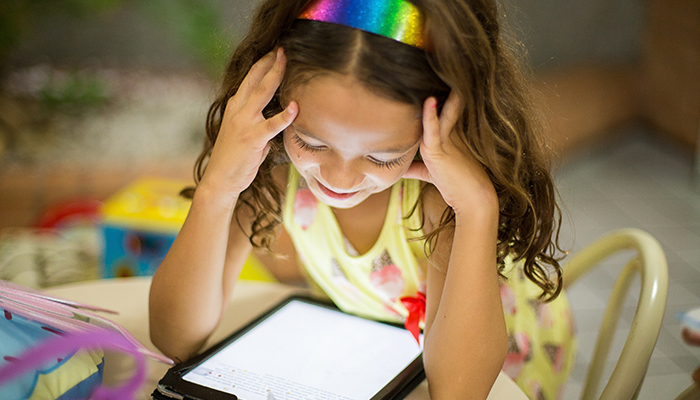 There are plenty of fun apps that can help children learn or develop important skills like hand-eye coordination, literacy skills, relationship skills and more. Common Sense media review apps, games, website and movies to help parents decide what is appropriate for their children. Give kids plenty of warning before their screen-time will end. These simple spoken reminders allow kids to prepare themselves for the end of screen-time, and hopefully present a dreaded tech-tantrum. Ideally, kids should only use screen in public areas of the house like the living room or dining room. Have clear rules about where it is ok to use screens and technology and make bedrooms, bathrooms and play areas tech-free. One of the easiest ways to limit screen time during the school holidays is to plan tech-free activities each day. Try to plan plenty of opportunities to spent time outside with friends, engaging in physical activity, and outside in nature. We are lucky in New Zealand to have plenty of opportunities to enjoy outdoor spaces, library holiday programmes and community programmes. Plan bush walks, trips to the beach, museum visits, interesting crafts or projects.